TIKI brand deck torch filled with Bite Fighter citronella fuel. Q: I’m planning an outdoor party on my deck this summer. What are some ways to keep mosquitoes from crashing my party? Don’t let those uninvited guests ruin all the fun. Here are a few tips and tricks for reducing mosquitoes in your backyard, both for the short term and long term. • Blow ’em away. Mosquitoes are relatively weak fliers, so placing a large oscillating fan on your deck during the event can provide a low-tech solution. • There are a number of plants that naturally repel mosquitoes, including marigolds, catnip, lavender, rosemary and scented geraniums. Plant them around your yard and in containers on your patio or deck. When you’re planning to be outside, crush a couple leaves from one of the plants to make the aroma more potent. And, with rosemary and catnip, you can simply crush a few leaves and rub on your skin and clothing to enhance the effect. • Make basil centerpieces for the outdoor tables. Basil is a natural mosquito repellant that doesn’t have to be crushed to enable its mosquito-repelling scent. 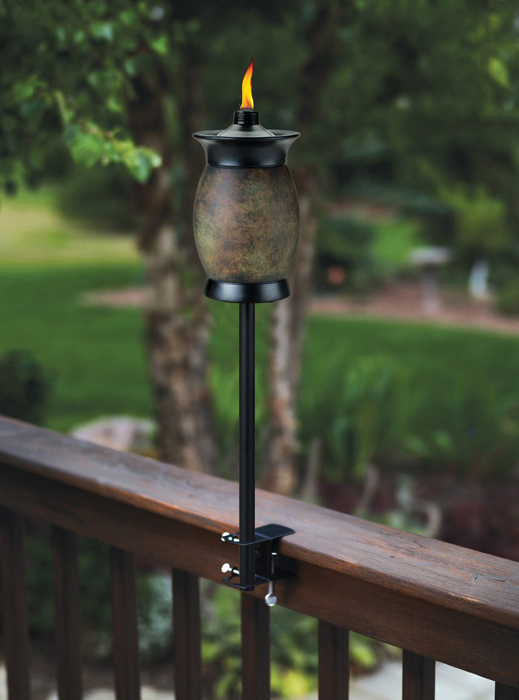 • Burning citronella candles and torches can be helpful. • Offer guests bug wipes that won’t create a smelly fog. • Using Avon’s Skin so Soft as a bug deterrent works sometimes. • To prevent mosquitoes from breeding in the first place, get rid of any standing water on your property. • Mow your yard. Mosquitoes have been known to generate offspring just from the dew that collects on grass and other plants. Keeping your grass cut short reduces the amount of dew that collects on your lawn. • Clean out gutters and empty old tires and birdbaths (where mosquitoes breed) and clear away decaying leaves (where they hide).